come with a helicopter and a dumpster. 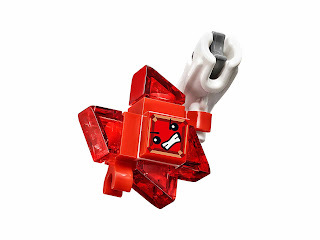 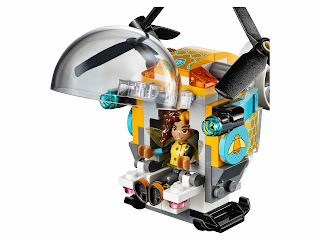 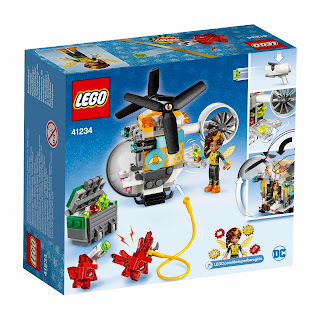 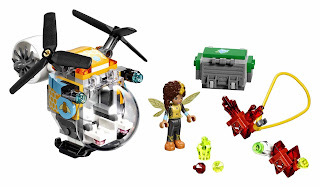 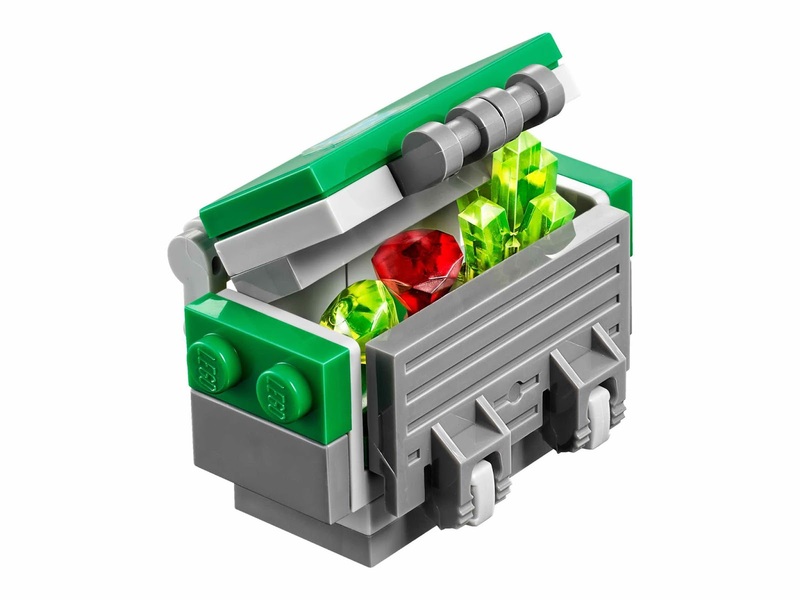 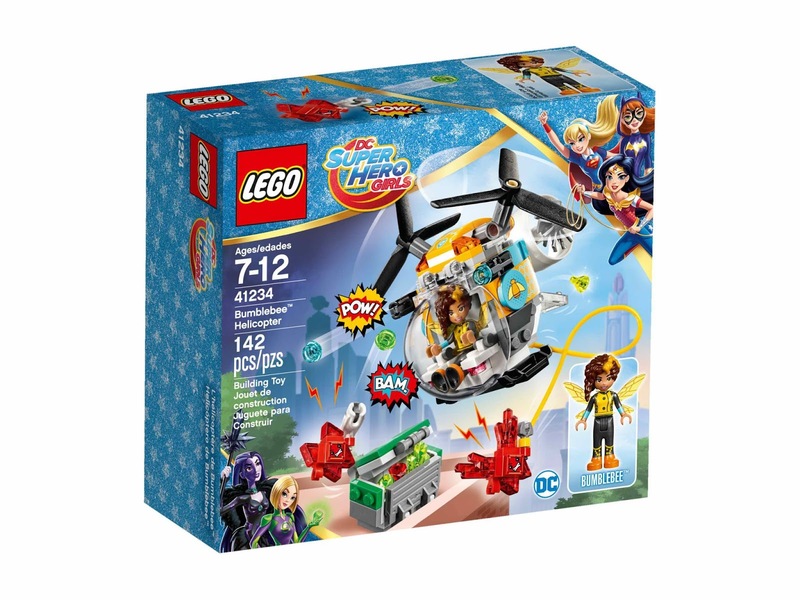 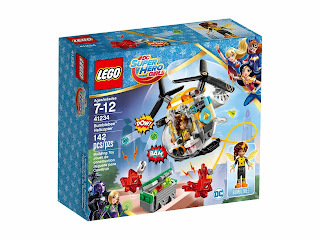 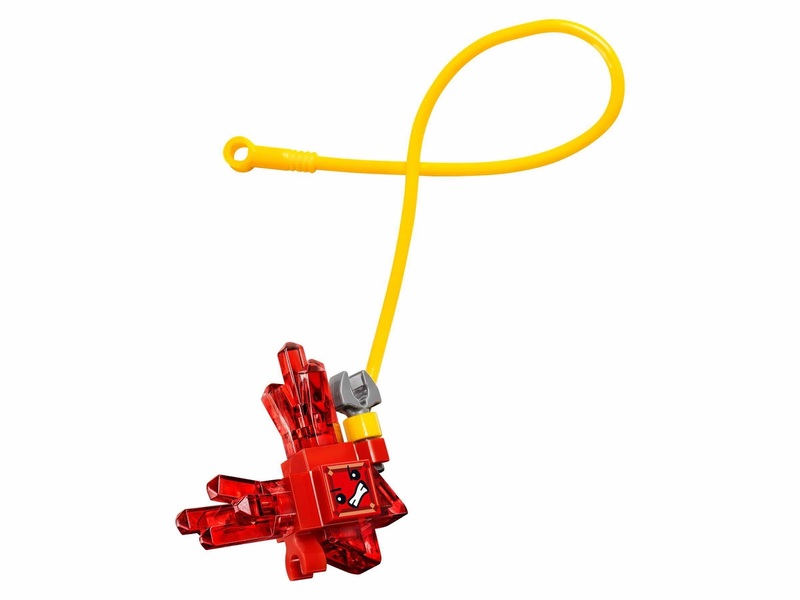 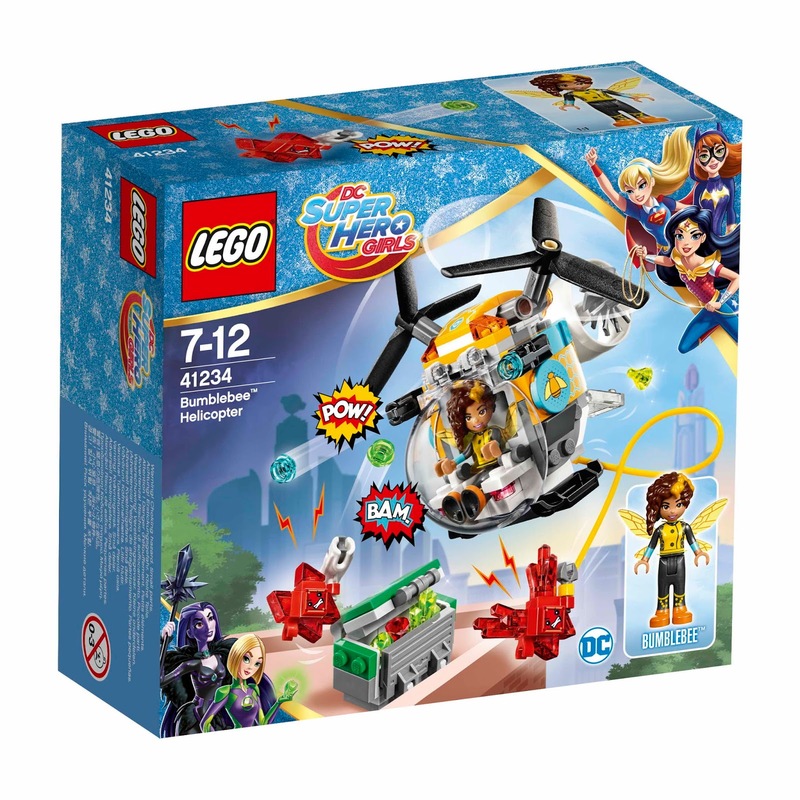 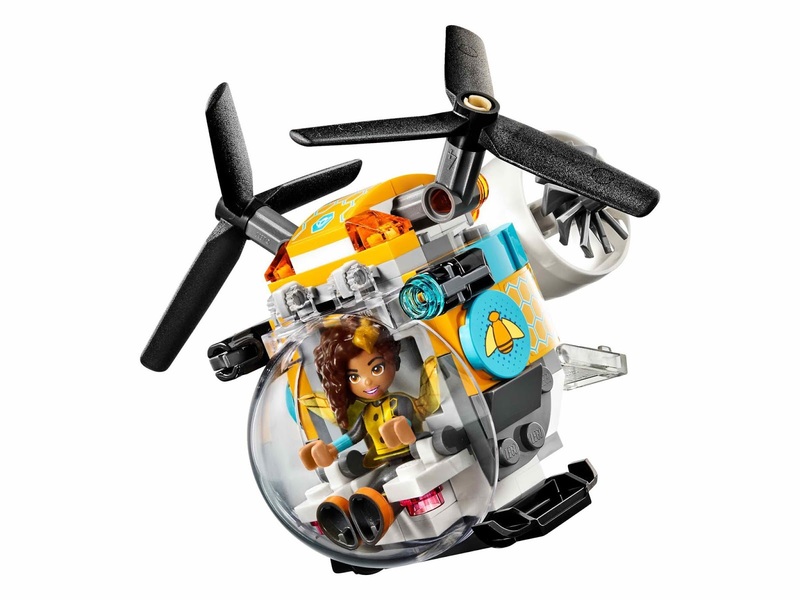 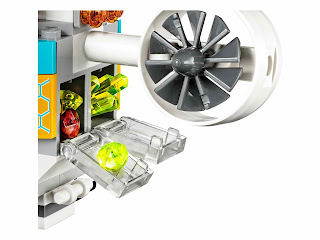 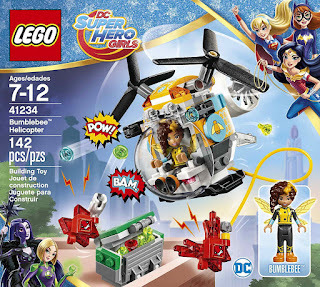 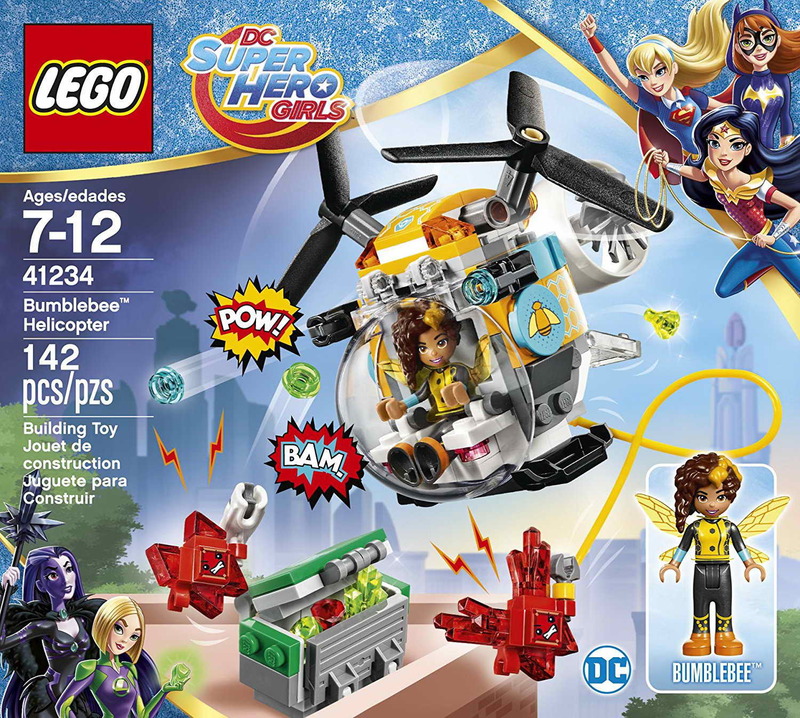 the helicopter has an openable cockpit, spinnable rotors, a zipline, 2 stud shooters and a rear crystals storage space. 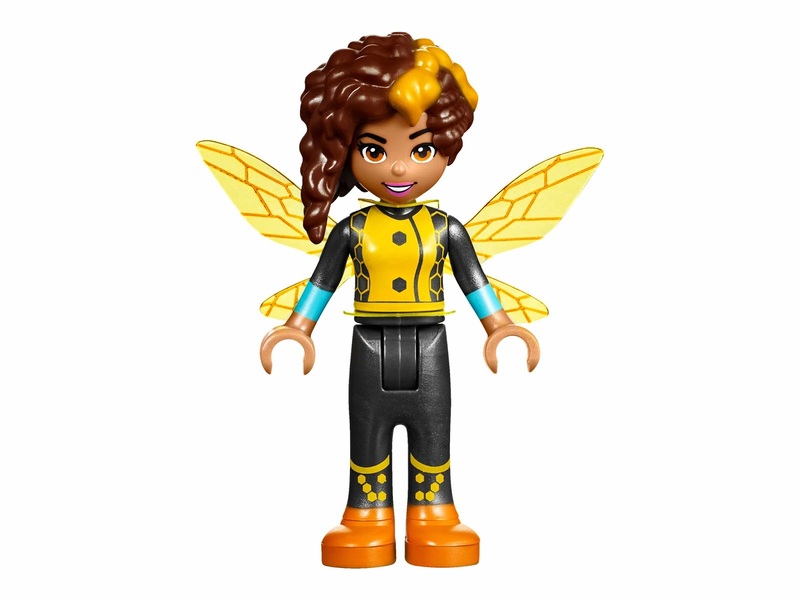 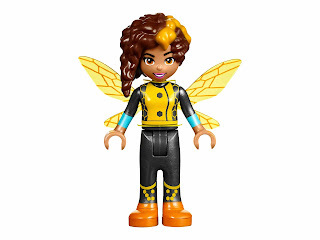 minidoll included a bumblebee minidoll. also included 2 red kryptomite.